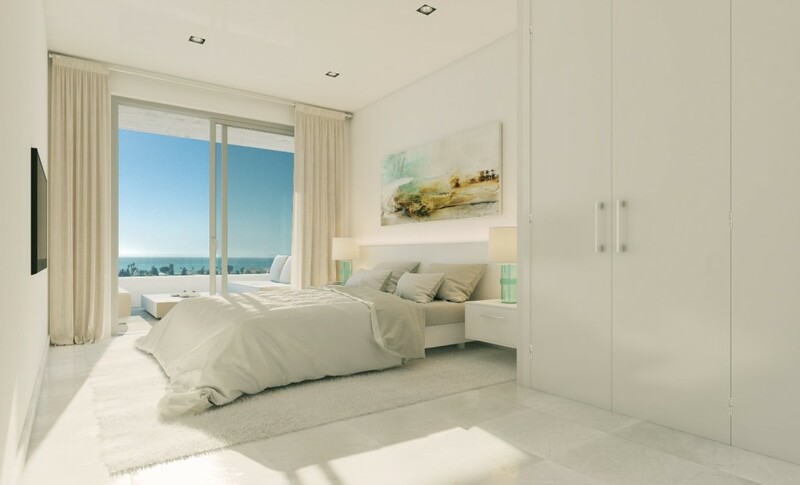 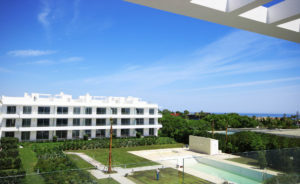 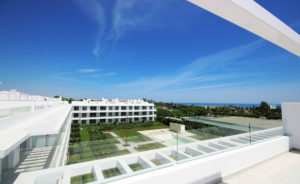 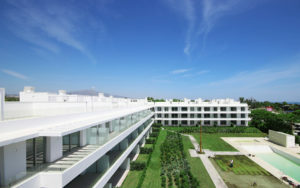 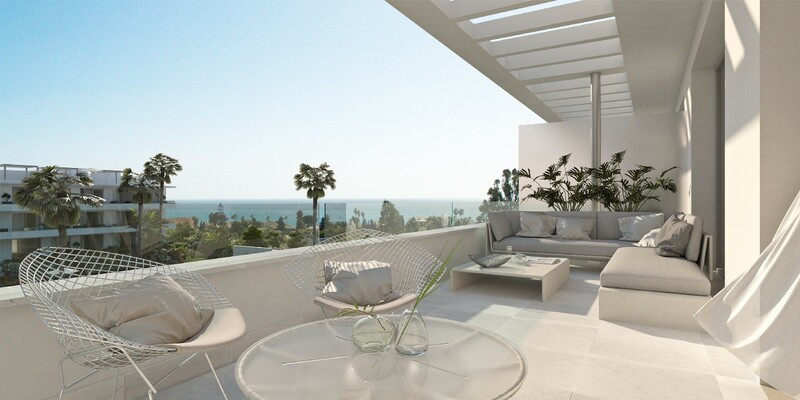 63 Contemporary Apartments for sale in the New Golden Mile (Marbella–Estepona) in a modern and elegant complex. 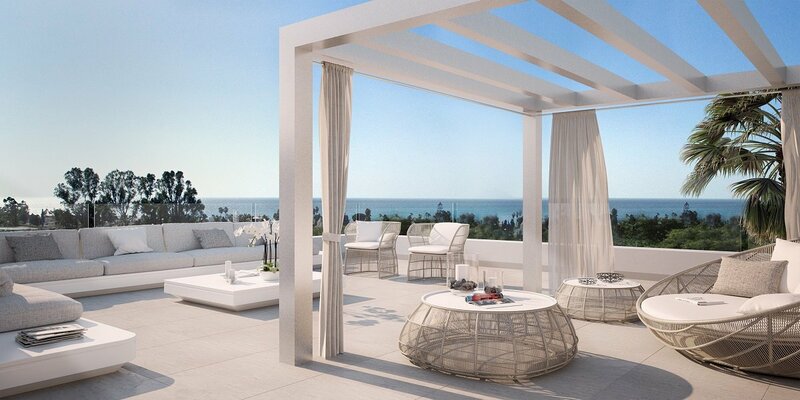 This exciting new development at the New Golden Mile consists of 2, 3 and 4 bedroom Apartments & Penthouses. These apartments are designed to make the best use of the natural light, joining the exterior and the interior spaces through the terrace crating a constant sensation of freedom. 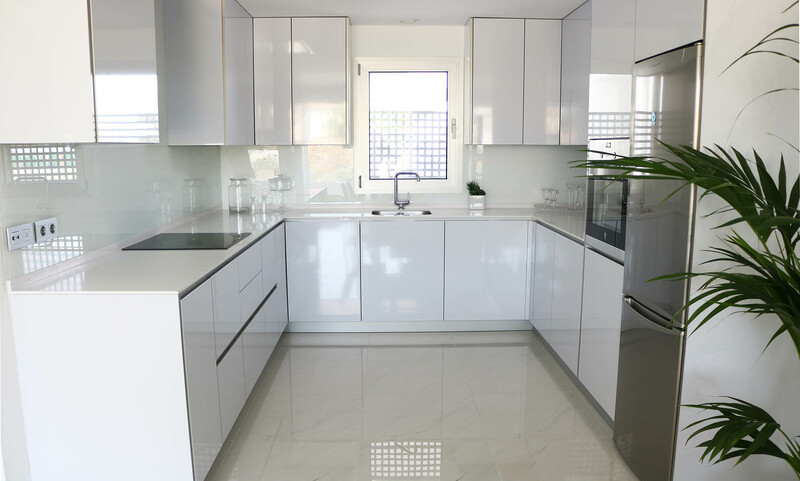 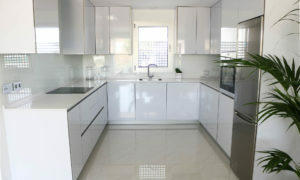 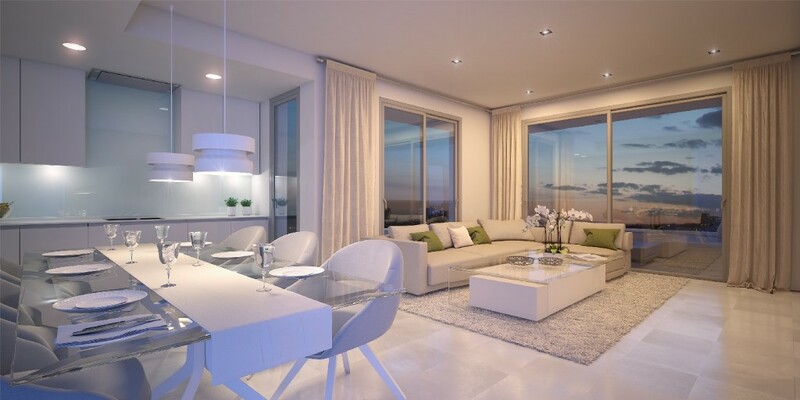 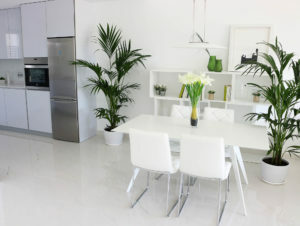 The open plan kitchens are integrated into the living giving a friendly and familiar atmosphere. 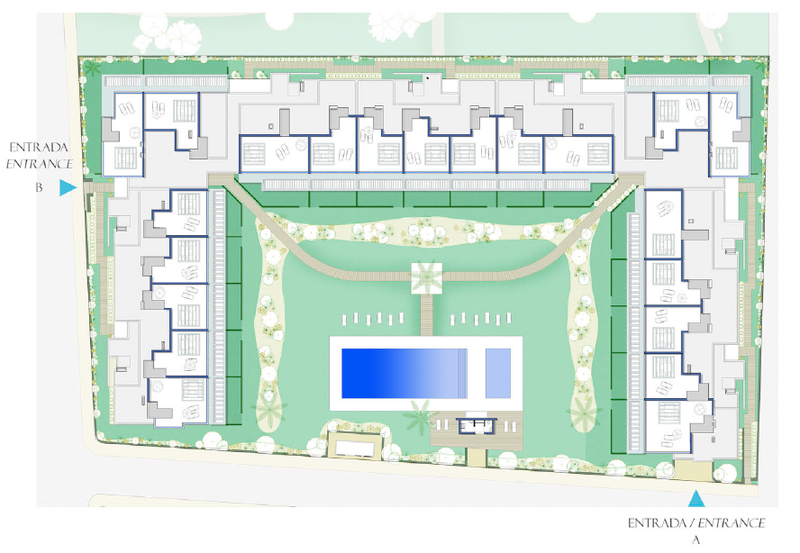 The complex will be completely gated, have a Swimming Pool, underground parking and storage rooms. 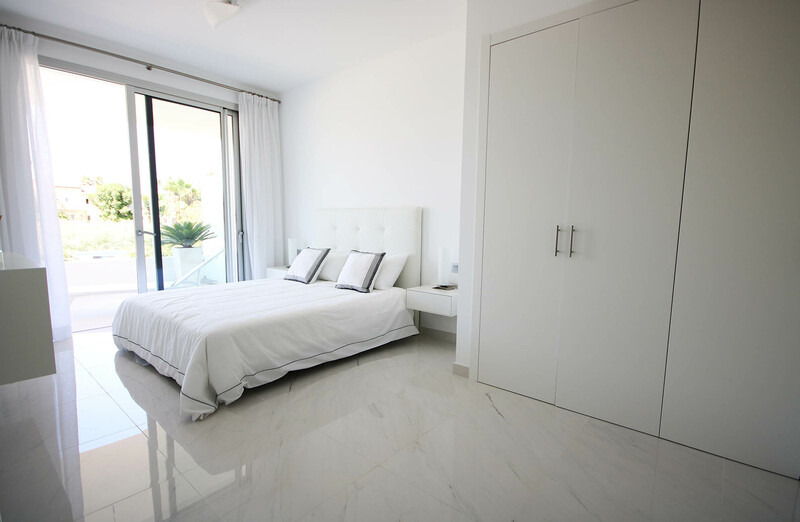 This development is very close to several well known Golf Courses, just 550 meters from the beach and at walking distance to all sort of amenities like; Restaurants, 3 Supermarkets, Shops, Hotels, Bank, Bus, Taxi, Pharmacy etc. 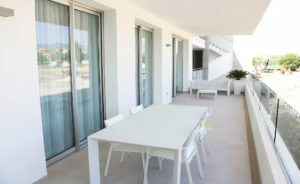 2 bedrooms from € 244.000,- SOLD OUT! 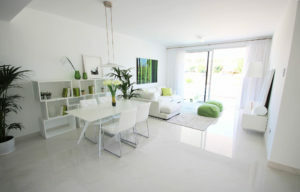 4 bedrooms from € 392.000,- SOLD OUT! 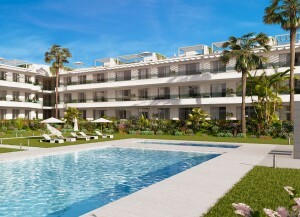 2 bedrooms from € 335.000,- SOLD OUT! 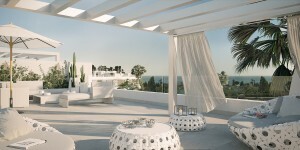 3 bedrooms from € 481.000,- SOLD OUT! 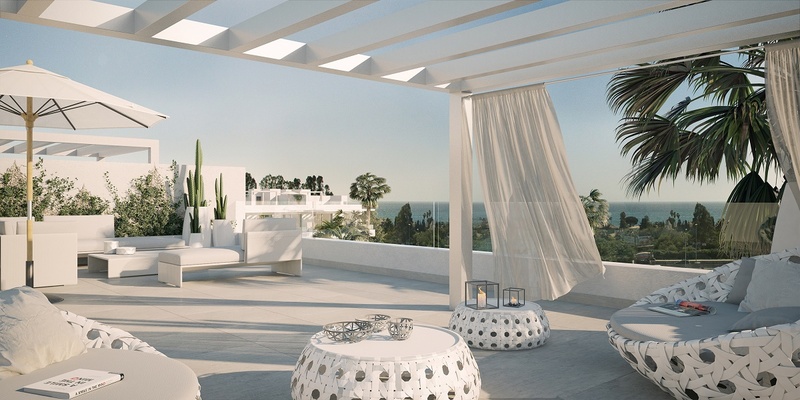 4 bedrooms from € 468.000,- SOLD OUT!